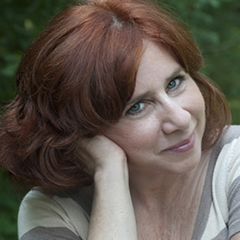 Sarah Aronson has an MFA in Writing for Children and Young Adults from Vermont College of Fine Arts, and has published three novels: Head Case, Beyond Lucky, andBelieve. Titles forthcoming include her first nonfiction picture book, Just Like Rube Goldberg (Beach Lane Books) and a chapter book series, “The Worst Fairy Godmother Ever” (Scholastic, 2017). Sarah is the co-founder and organizer of the Novel Writers Retreat at Vermont College of Fine Arts. She speaks regularly at SCBWI events and writing conferences and reviews teen novels for Jewish Book World. She teaches online classes for writers.com and loves working with new writers. Visit the “Tips” page on her website to receive a weekly “Monday Motivation.” She is thrilled and humbled to be returning to the Highlights Foundation for the Whole Novel Workshop.